I think I’m in heaven!! 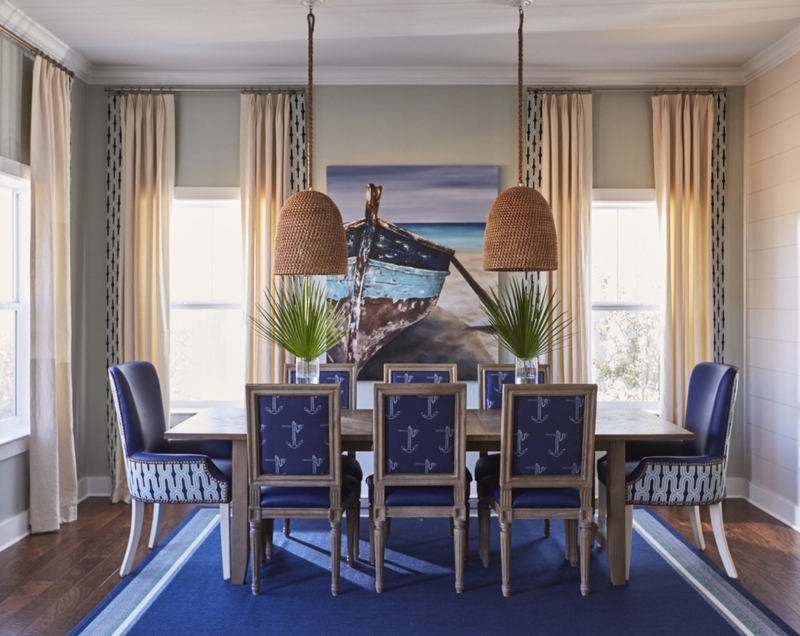 Interior designer Kristin Drohan, owner and CEO of Kristin Drohan Collection–an Atlanta-based interior design firm and furniture company, pulled from her own collection when designing her family’s dreamy vacation home along 30A in Gulf Place, Florida. 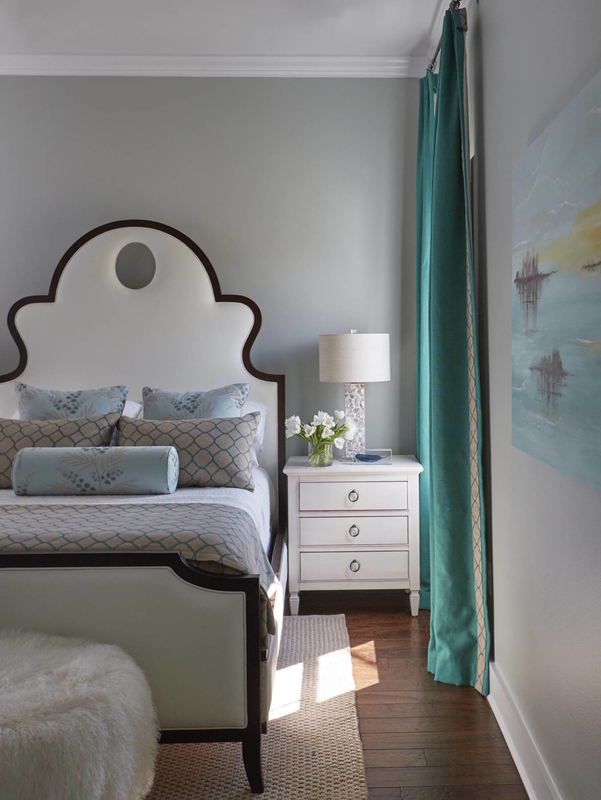 She turned a builder-basic home into something super special with architectural details (hello shiplap! 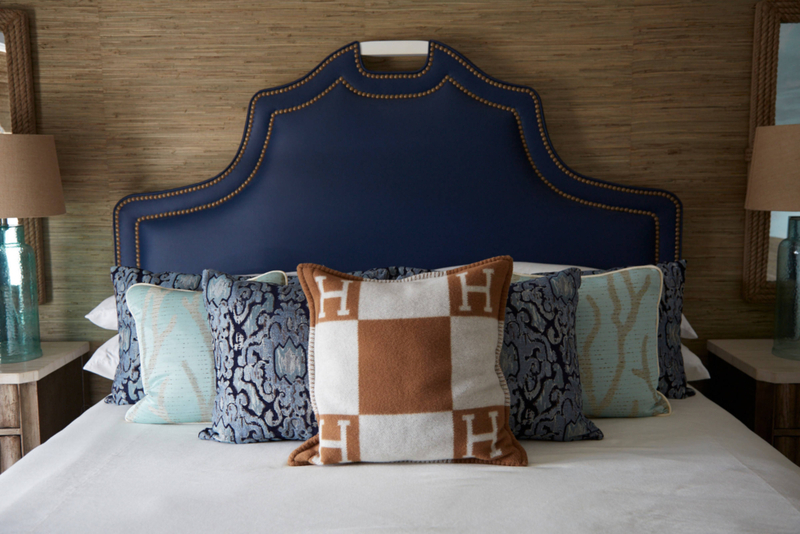 ), fab lighting and thoughtful upgrades, not to mention a great mix of budget-friendly finds and custom pieces! The open and airy great room is my favorite space. 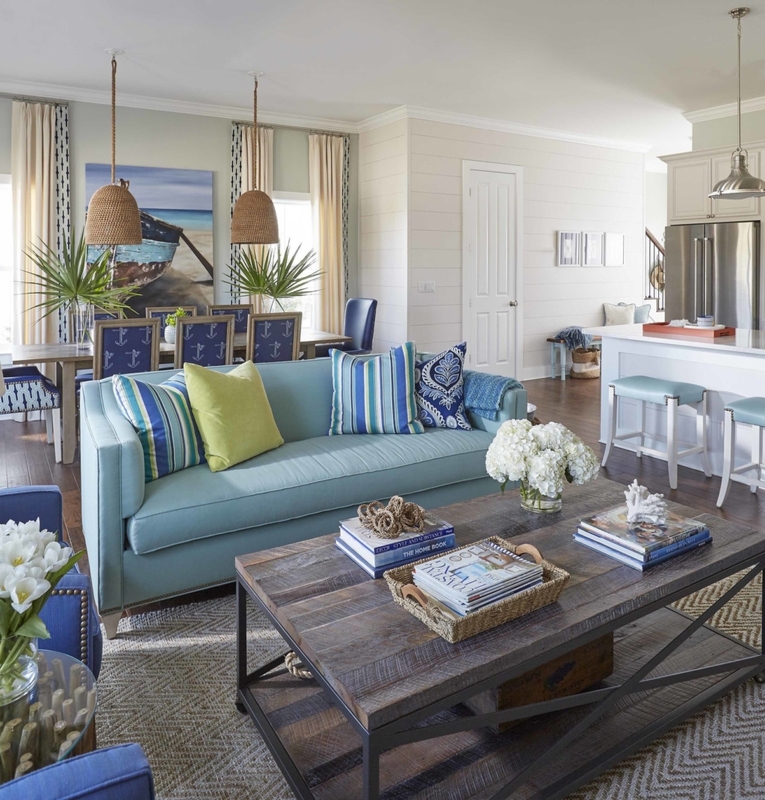 I adore the casual, coastal vibe and abundance of sea-inspired colors and textures! 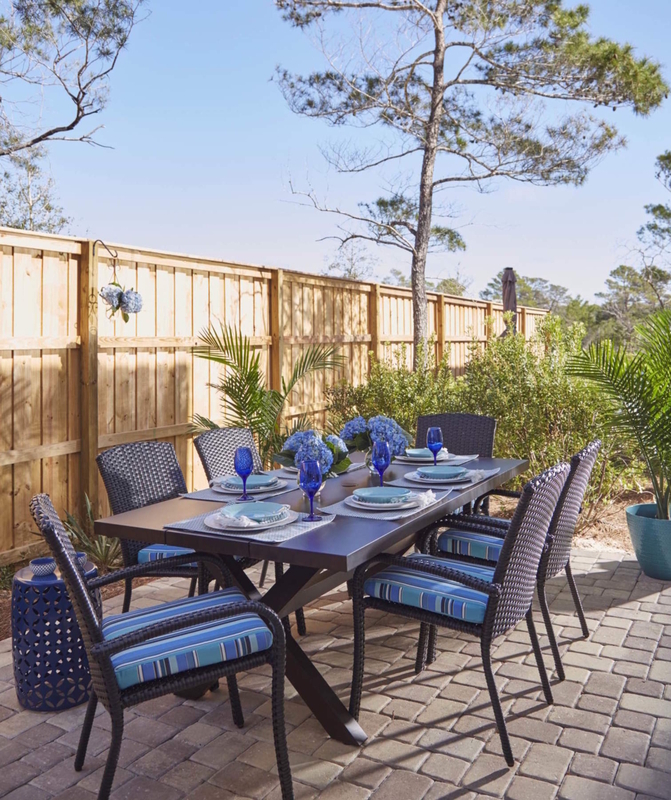 The layout is totally perfect for entertaining or hanging out with the family too! 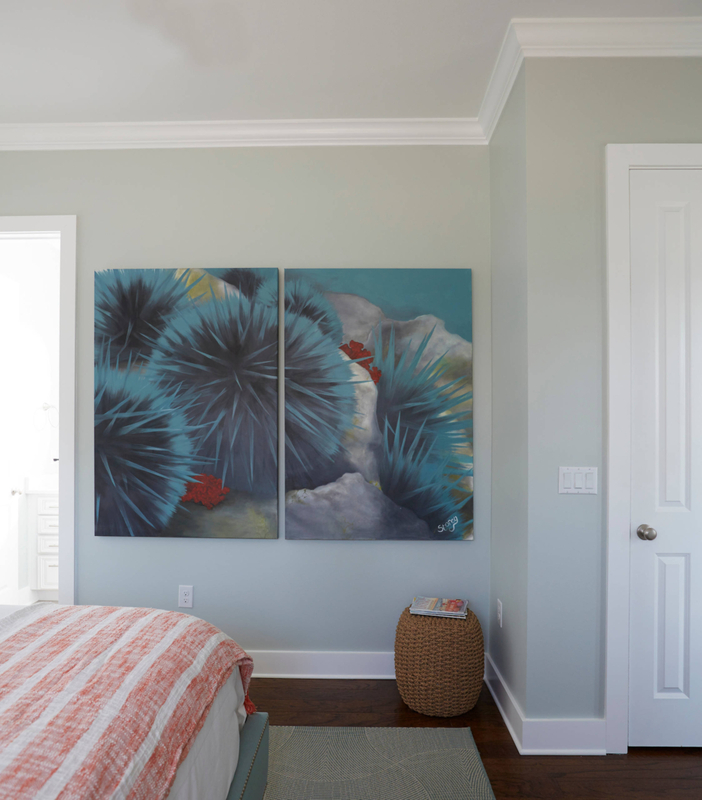 And how gorgeous is the master bedroom?! 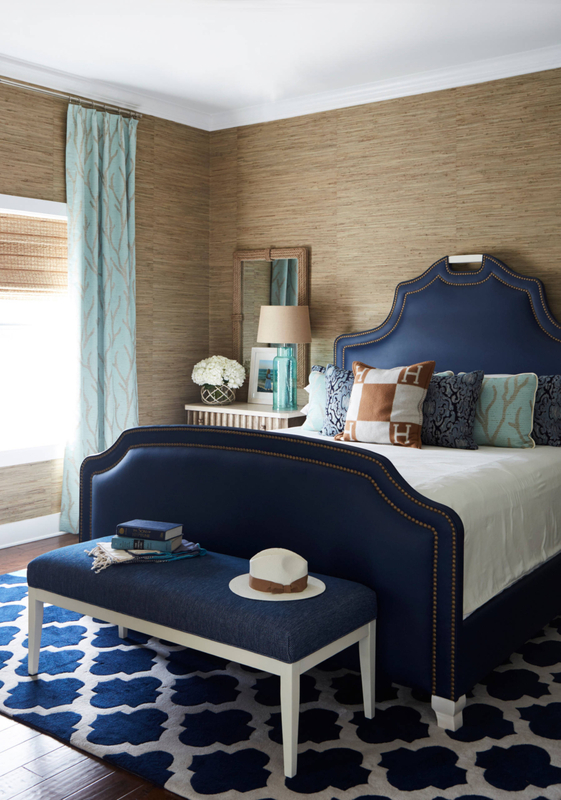 Loving the grasscloth wallcovering! 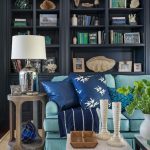 To read all about the home (captured by photographer Colleen Duffley) and learn sources, head on over to StyleBlueprint. 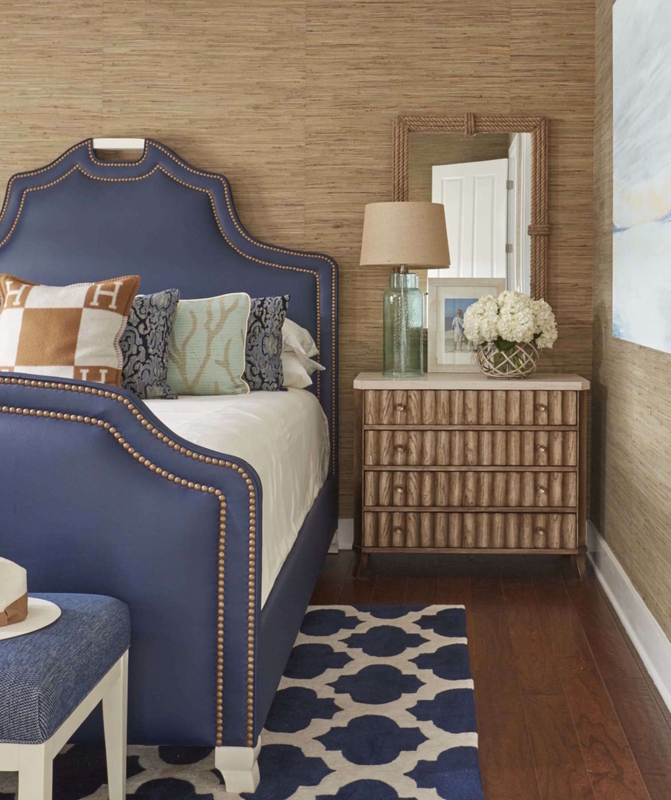 And if you love this look as much as I do, definitely check out the Kristin Drohan Collection (especially her amazing coastal furniture line! )…so much to drool over! 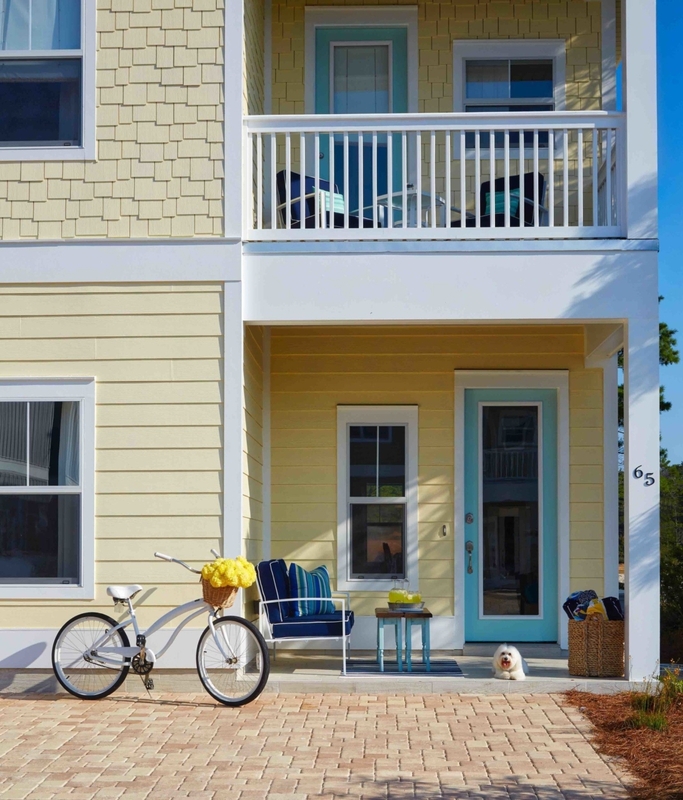 For even more beautiful homes I’ve featured along 30A, go here! 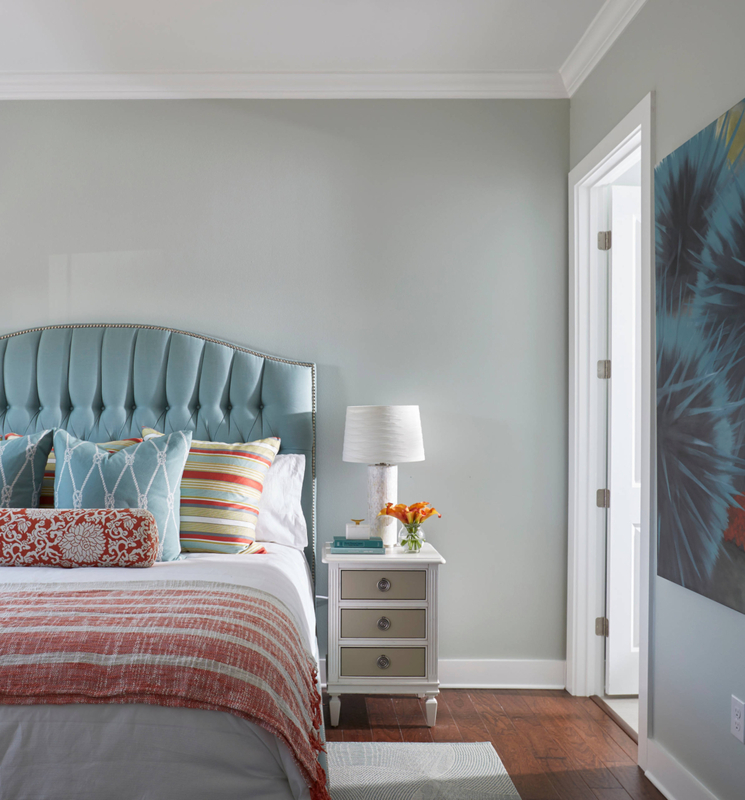 This home is so pretty and tastefully decorated. This is lovely! 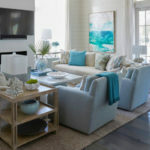 I know how much you love the 30A area, Erin, and this is a wonderful example of some of the pretty homes in that area. Are you now going to a schedule of updating your blog once a week on Wednesdays? I check is every day and if you’re going to a more limited updating schedule, I’ll plan my reading accordingly. Thanks! I haven’t really figured out a new schedule, the last month has just been particularly busy for us. Hoping things calm down so I can be at my computer more! Oh my! This place is beautiful. 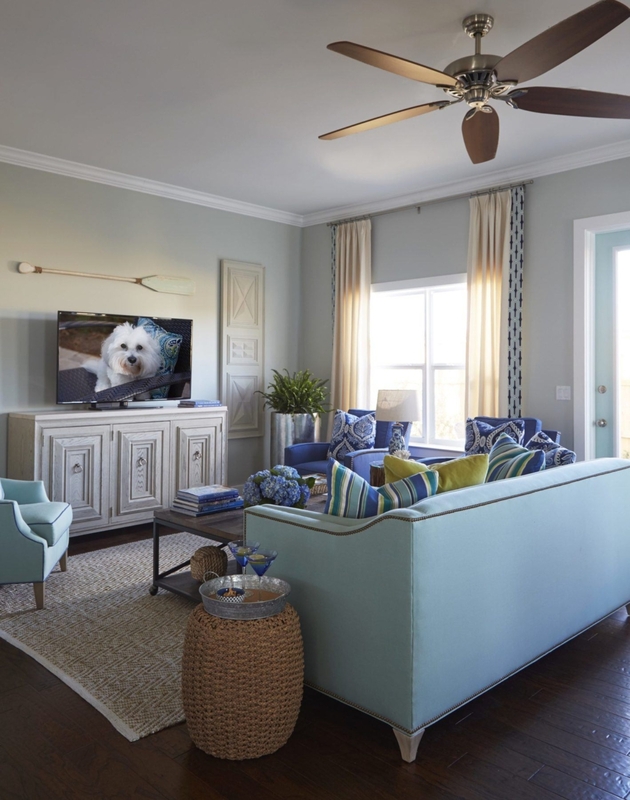 The colours, fabrics, rugs, paintings, kitchen, and the dog! This designer has TALENT! Thanks for sharing! Amazing decor! I am curious about the ceiling height! Looks like a generous height in there! Lovely home! They are 10 ft tall. You nailed it. 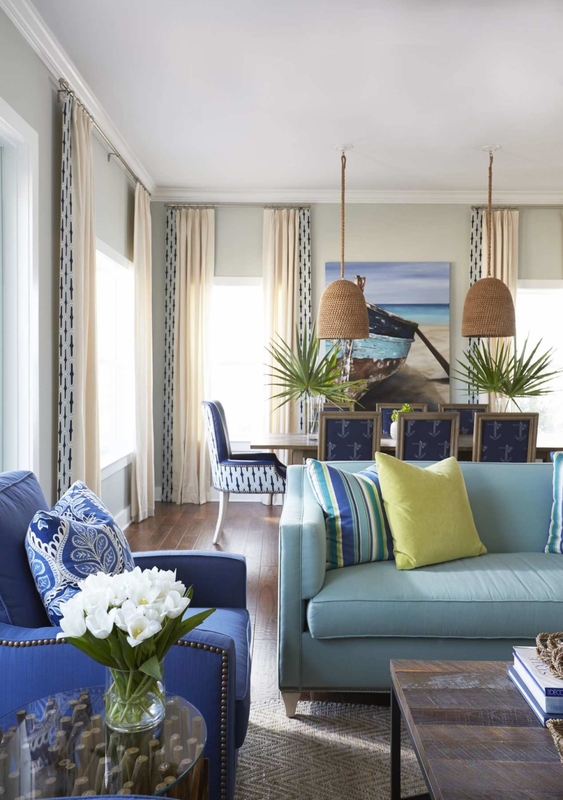 I liked quite a few of the elements in this house, color scheme, coastal style, casual but still with style. 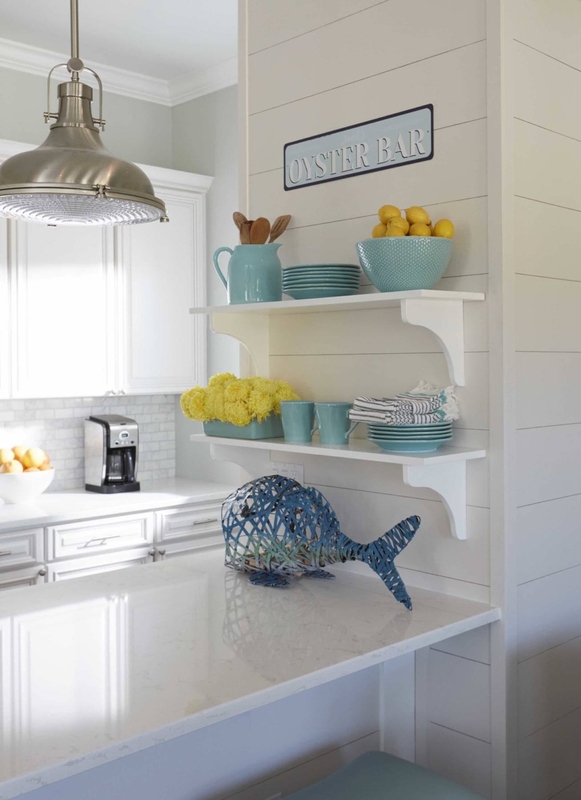 Love the kitchen. 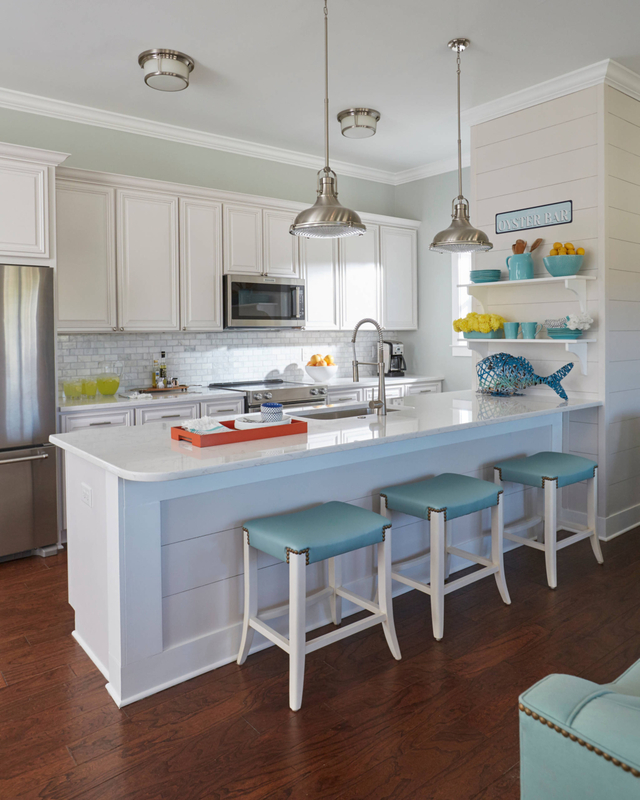 What is the product you used under the counter where the stools are and on the wall? Faux ship lap. Basically plywood flooring. Thanks for featuring this. I just found it, so I’m sooooo late to the party. I’ve actually followed your blog for years!!! Love it!